Arguably one of the most provocative, puzzling, and misunderstood organizations of medieval times, the legendary Knights Templar have always been shrouded in a veil of mystery, while inspiring popular culture from Indiana Jones to Dan Brown. In The Templars, author Michael Haag offers a definitive history of these loyal Christian soldiers of the Crusades-sworn to defend the Holy Land and Jerusalem, but ultimately damned and destroyed by the Pope and his church. 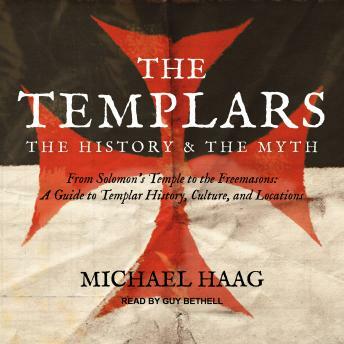 A bestseller in the United Kingdom-the first history of the enigmatic warriors to include findings from the Chinon Parchment, the long-lost Vatican document absolving the Knights of heresy-The Templars by Michael Haag is a fascinating, must-listen book.